Cho Oyu, the world's sixth highest mountain at 8,201m, lies on the Nepal/Tibet border about 30km west of Mt Everest at the head of Gokyo valley. It was first attempted during the 1952 Everest reconnaissance by a British team lead by Eric Shipton. 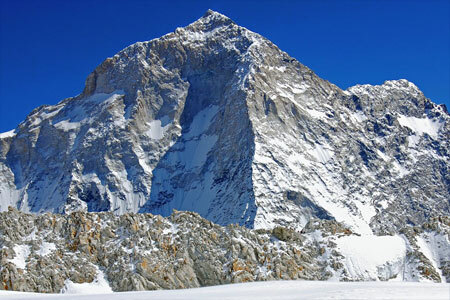 The mountain was first climbed by Austrians in 1954 who reached the summit via the north-west ridge using a route though Tibet from the Nangpa–La - not strictly a legal route. 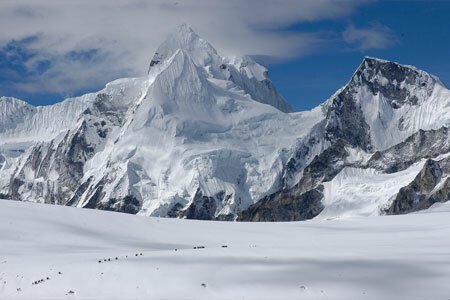 An India expedition made the second ascent in 1958 and a German Ski expedition made the third ascent in 1964. Today more than 1,000 people have stood on the summit as the ascent of Cho Oyu through Tibet is not particularly difficult. Of all Nepal’s 8000m peaks, Cho Oyu is second only to Everest in the number of expeditions and successful ascents. Base camp is a temporary but comfortable affair with large cook and mess tents. 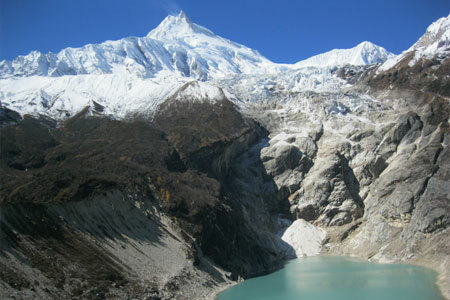 Now the trekking begins with the two day walk to advanced base camp (ABC). We may take an acclimatization day at the halfway point, again, depending on how everyone is acclimatizing. ABC is in the heart of the Himalaya at 5720m, surrounded by fantastic peaks and close by is the Nangpa La, an old but still used yak train trading route between Nepal and Tibet. ABC also boasts a superb view of the route on Cho Oyu. 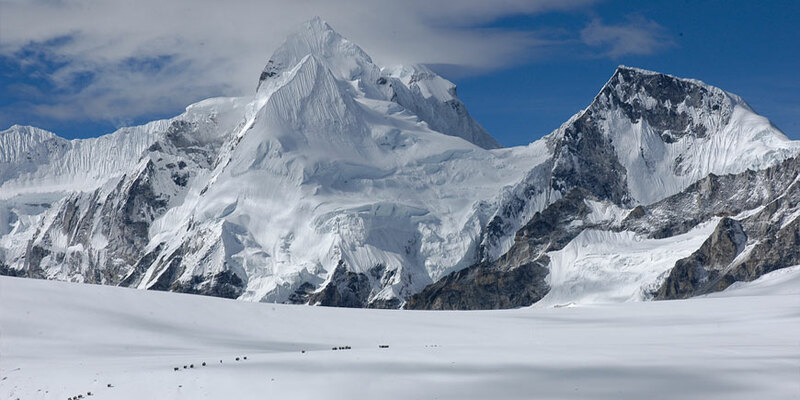 This is our main base camp and we plan to stay here and higher for the duration of the expedition. Every person gets a tent to their own. From ABC it is several hours of tough walking on a vague path over moraine-covered glacier to the start of the mountain proper. After a short, steep climb is Lake Camp (Camp 1/2: 6065m) where we have a tent to store gear. Camp 1 is an hour or two up the steep scree slope, which improves the higher you climb. Camp 1 is either perched more or less on the ridge at 6430m and the real mountaineering begins from here. The ridge is soft, so easy enough climbing, then it broadens out and we climb successive huge steps, several of which probably require fixing a rope up. 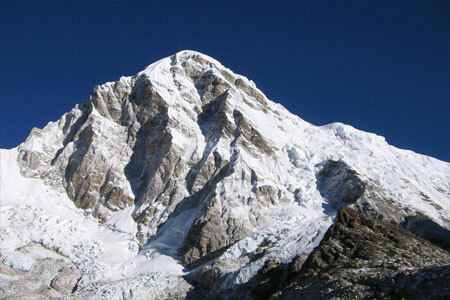 We will fix a new rope in co-operation with other expeditions on the mountain. Normally one rope is used for ascent and another for descent. Although the route is crevassed, normally these pose no problems. Camp 2 is on the edge of a large plateau at 7130m although we will carefully assess where to put it. For our summit attempt we will establish a light Camp 3 across the plateau and up on a minor ridge at 7560m. Above Camp 3 are two rock steps where we fix another set of ropes prior to our summit bid. Summit day: Above the rock bands the slopes are still reasonably steep and we may take a line to fix there, depending on conditions. However once on the crest of this ridge the terrain is straightforward although it is a long haul to the summit plateau. 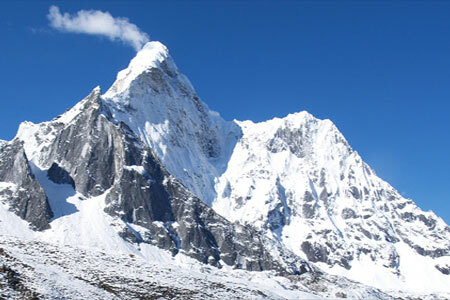 The panorama is breathtakingly magnificent, including Everest 8848m, Lhotse 8501m, Nuptse 7855m, Chamlang 7319m, Ama Dablam 6812m and other peaks of the Khumbu region to the east and south. 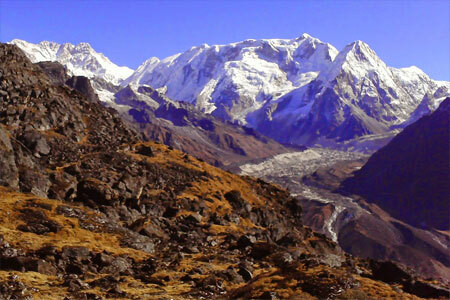 To the west are the Melungtse and Gauri Sankar massifs and to the north is pure Tibet. It is normal to descend to Camp 2 and from here the big job of clearing the mountain begins. Day 04: Drive Kathmandu / Zhangmu. (Lodge). Day 05: Drive to Nyalam. (Lodge). Day 06: Rest day at Nyalam for acclimatization. (Lodge). Day 07: Drive to Tingri (Lodge). Day 08: Rest day at Tingri for acclimatization (Lodge). Day 10: Rest for acclimatization Camp. Day 11: Prepare loads to ABC Camp. Day 12:Trek to Interim camp Camp. Day 13: Arrive at advance base camp Camp. Day 39: Return to Advance Base Camp. Day 40: Return to Base Camp. Day 41: Cleaning up Base Camp. Day 42: Drive back to Zhangmu. (Lodge). Day 43: Drive back to Kathmandu. (Hotel). Day 44: Free day in Kathmandu for independent activities. (Hotel). Day 45: Free day in Kathmandu and farewell Diner. Day 46: Transfer to International Airport and fly home. Above base camp smmit and camp bonus. Tipping for nepali crew / staffs.